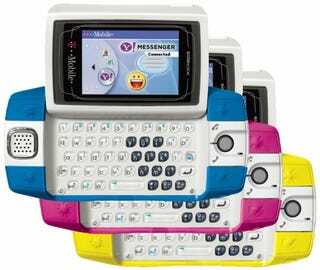 T-Mobile and others are having a hell of a time keeping their traps shut about the Sidekick ID. A rebate form was found on the T-Mobile website that had some more information about this new, nerfed Sidekick. First and foremost, it will be available in a variety of colors (obviously from the picture). It will also have a $50 mail-in-rebate (making the final price $100) and an April 18ish release date. You know, this Sidekick ID isn't looking too bad.